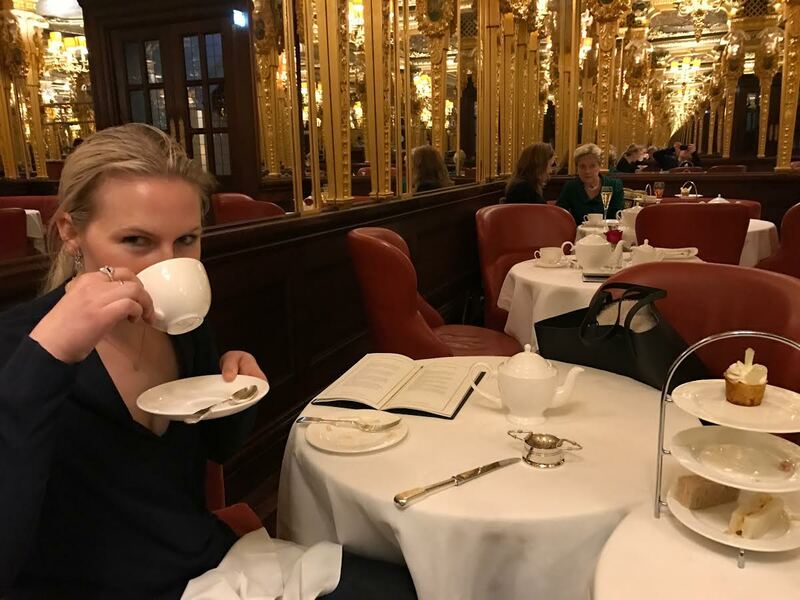 I was in London a few days ago so I took advantage of my time there to hit up a few literary spots, one of them being the Oscar Wilde Bar that serves a luxurious afternoon tea. What could be better than drinking some custom blended teas in a beautiful setting that was once frequented by one of my favourite authors? Nothing much, which is why I was so excited to indulge in this (admittedly very expensive) experience. I absolutely loved The Picture of Dorian Gray, so it was a great treat for me to sit in one of the rooms that Wilde frequented when he was alive. And my husband and I were in no rush, we spent about two and a half hours there, sampling different teas and enjoying the live piano music. In fact, I whipped out my book and read for a good fifteen minutes to fully bask in the literary atmosphere, and the staff didn’t seem irritated that we were the last to leave. People always ask how I get so much reading done – it’s because I literally take a book everywhere I go, even sightseeing with my very understanding husband! Afternoon tea is a ritual I wish more Canadians partook in. What a civilized way to live! Tiny little sandwiches and beautifully designed pastries are such a delight when you don’t have to make them yourself, especially when you can easily hold a book in one hand, and a treat in the other. Ooh, sounds wonderful! And that cake/dessert thingy looks positively yumptious!! and the chocolate they used on the macaron (not pictured, because we ate them up so quickly) was divine! I’m so impressed by the amount of ‘literary’ things to do over here in the UK, it seems like every famous author has come from here. Totally, a whole lot of my favourite authors were born there. The cannon would definitely be missing a lot of great authors with contributions from the UK. Again, great post!